Compare pricing for limo service in Hampton VA. Car service, transportation and limo rentals near Hampton. Price4Limo has over 12,000 vehicles in our inventory with photos and prices for you to choose for your transportation needs. Getting a free quote takes less than 30 seconds and no email is required! Hampton Virginia Limousine Rental has the finest fleet of luxury rentals at the lowest limo prices. We serve the entire area of Hampton, including surrounding towns like Achilles, Maryus, Suffolk, Virginia Beach, Yorktown, Seaford, Portsmouth, Norfolk, Lackey, Glaucester Point, Bena and Battery Park. Our company has trained representatives available 24-hours a day, ready to help you select the best limo hire for any occasion and ensuring that you get the very best limo prices available. There are so many models, styles and sizes to choose from when you ride with Hampton VA Limos. We offer elegant classics, like the Rolls Royce. 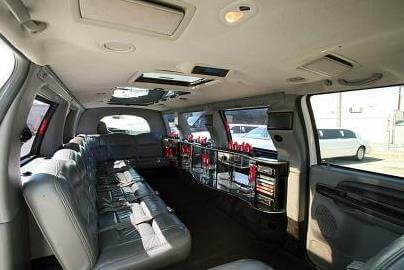 Our stretch limo is perfect for larger parties and for corporate transportation. And if you haven’t checked out the newer line of luxury limo buses, you’ll be amazed at the space and amenities these vehicles proved for parties of up to 50. Whether you need limousine service for 23630 or 23631 - or any other nearby zip code - we’ve got you covered. Located on the southeast end of the Virginia Peninsula, Hampton lies between the Chesapeake Bay and the Hampton Roads Harbor. Only 16 miles from Norfolk, Hampton takes to the skies via Norfolk International Airport and Newport News/Williamsburg International Airport (in Newport News). Hampton’s origins actually date back to the 1600s, when it was a trading port. There’s a lot of history here, with Civil War battles that led to the burning of the town to the building of the Grand Contraband Camp by former slaves, making it the first self-contained African American community in our country. Today, you’ll find the Hampton University Museum here, along with the Virginia Air & Space Center where you can see Apollo 12 Command Capsule. The Charles H. Taylor Arts Center is located downtown, and the Casemate Museum at fort Monroe (the nation’s largest fort) holds Civil War treasures. Of course, there are plenty of attractions and activities, including surfing at Virginia Beach and collegiate sports at Hampton University. 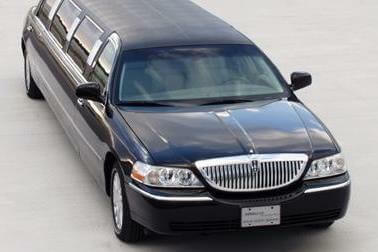 Our affordable limo rentals make it feasible to enjoy Hampton VA Limo Rentals for all sorts of occasions. Large groups can travel in comfort, boarding your Hummer Limo for a trip into Virginia Beach to laugh at Virginia Beach Funny Bone Comedy Club. 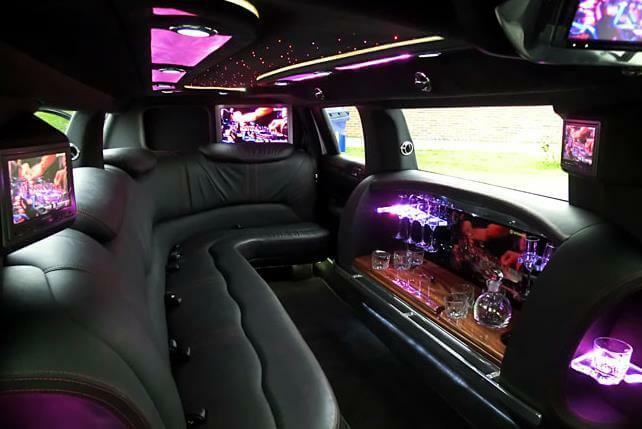 With your driver handling all the traffic and parking, make plans for an Escalade Limo and a concert in Portsmouth at the Ntelos Wireless Pavilion is a fun destination for you and your friends. Night life in Hampton is great, too - start with drinks at McFadden’s, go dancing at Atmosphere, then chill at The Comfort Zone. Since you don’t have to worry about designated drivers, you can all enjoy every mile of the journey in luxury and security. Our Chrysler 300 Stretch is great for more intimate celebrations, like anniversary dinner at Brent’s or Marker 20. Then bask in luxury as your chauffeur takes you to Sandler Center for the Performing Arts for a show in Virginia Beach. We also feature the Lincoln Stretch, an excellent choice for corporate travel, proms, graduations or bachelor/bachelorette parties. Some of our models are available in white - perfect for wedding transportation or afternoon affairs. 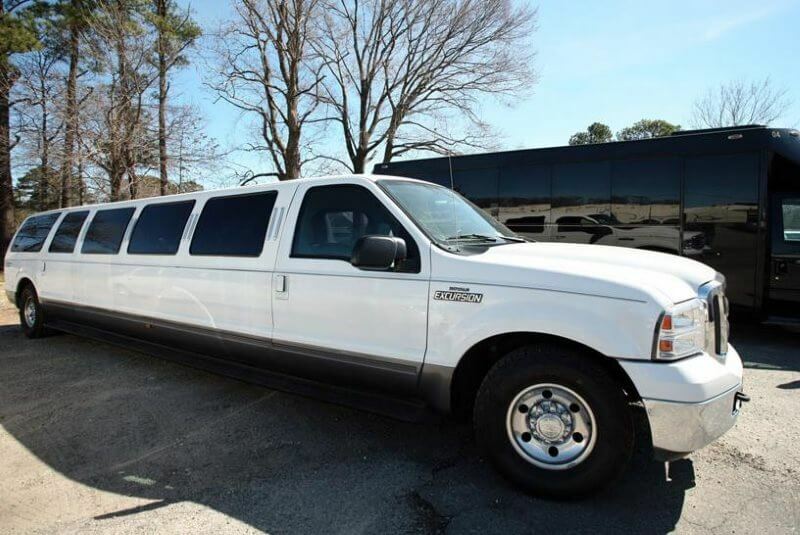 Whatever the occasion, whatever size you need, we have the perfect rental at Hampton Virginia Limo.